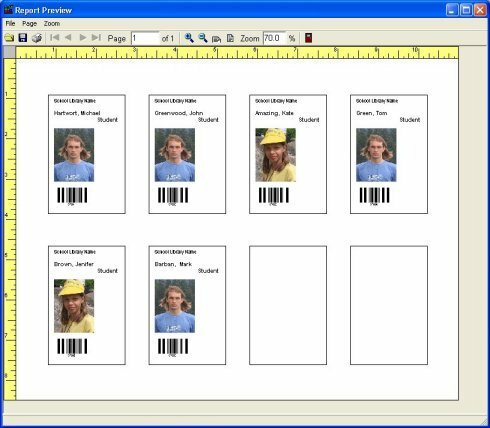 Print Label Wizard lets you print selected fields on any label. There are already templates for all American and European Avery label formats. Print Label Wizard supports the most popular barcode types used by libraries. Print Label Wizard allows you to define and print the following specialized library labels: book spine labels, vhs spine labels, dvd spine labels, cdrom spine labels, item identification labels, book barcode labels, item barcode labels, book cards, member id cards. Many specialized library label types are predefined. Preview labels, book title, author, and barcode. Preview labels, member id cards with barcode and picture.